It looks like LG is not the least bit done with its MWC 2014 announcements, on top of the G Pro 2, and a new L Series III, the South Korean company has finally officially taken the curtains off its LG G2 mini smartphone that they have been teasing for a while now. But don’t be deceived by the name “mini”, the G2 mini isn’t like the typical “mini” Android smartphones – HTC One mini or Samsung Galaxy S3/S4 mini, that are equipped with a significantly smaller screen, this new device from LG is only slightly smaller than its sibling but packs a much lower specs under its 4.7” hood. First up, the LG G2 mini features a 4.7” display with a low resolution of 960 x 540. Underneath that is a Qualcomm Snapdragon 400 processor with 1GB of RAM on board. It has a 8MP rear camera, 8GB of internal storage, runs on Android 4.4 KitKat out of the box with the latest LG UX featuring KnockOn and more, 8GB of expandable storage, 2,440mAh battery and carries the same rear button design as the LG G2. 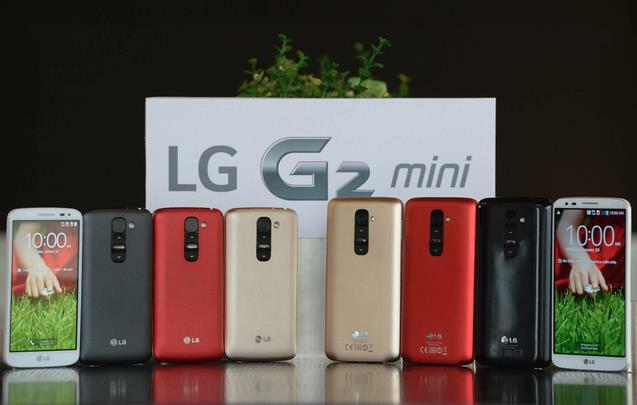 Scheduled to be launched in March in Russia followed by April in the Middle East, Latin America, Asia and Europe, the LG G2 mini will also come with a dual-SIM variant.